The author will be delighted to know that in a few state legislatures, steps are being taken to allow non-licensed “teachers” in our public schools. What could possibly go wrong? CA needlessly licenses more occupations than any state – 177. Second worst state is Connecticut at 155. The average state is 92. 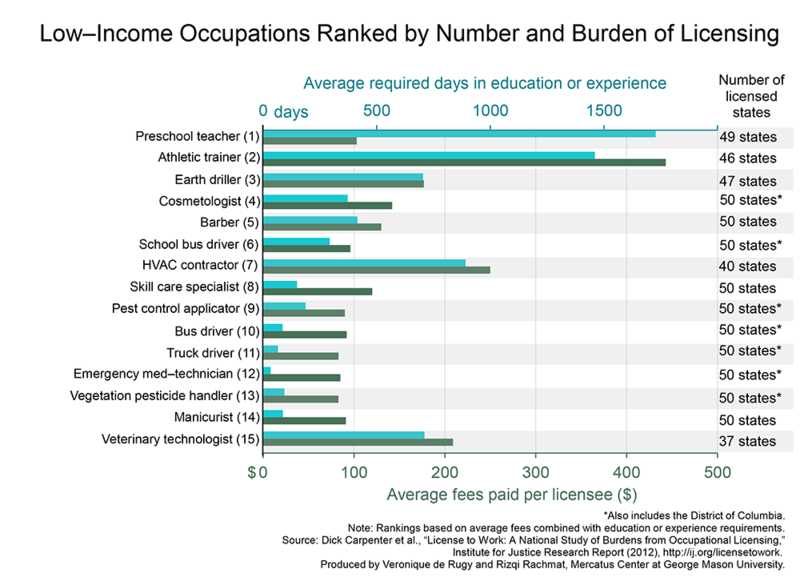 But CA is “only” the 2nd worst licensing state for low income occupations. If a State is going to determine what criteria and who get licensed, the State should be a necessary party to every malfeasance case under its licensing system. 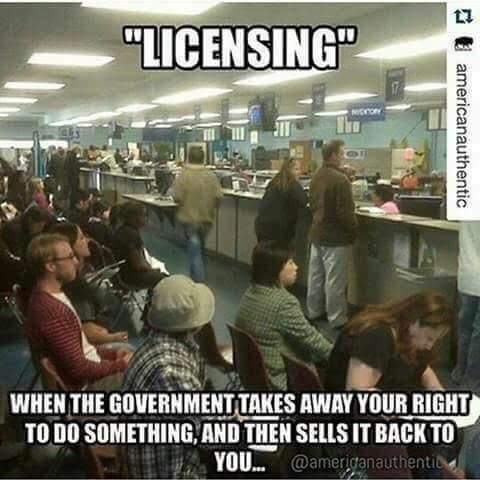 If not, the license means what it really does now, nothing. I oppose professional licensing of every nature. No professional I have engaged in the past twenty years knew what he was doing, bar none. BBB certification is a guarantee somebody better is out there. Credentials are meaningless. Government and big business prove that every day. America: it’s already over. If you are in D.C., you are part of the problem; no sane person would work for this government. The politicians don’t.